Want to write for Sunday Magazine? We’d love to add you as a contributor. Sunday Mag is a free online magazine for pastors and churches, exploring ways you can grow your church and engage your community from Sunday to Sunday. We’re not just focused on the weekend worship service, but on every aspect behind the scenes that helps the church grow and engage with the community. Your articles should remain relevant two to three years from now. We aim for a word count of about 600-1000 words per article. We also only publish original content. Please don’t submit articles you have posted or plan to post elsewhere. 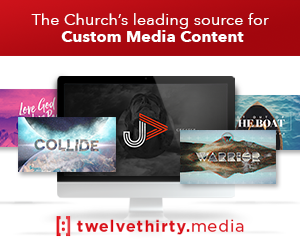 We occasionally will publish articles that are timely and newsworthy content that applies to creative thinkers in the church. These articles don’t have to be tutorials or deep thought pieces. They should contain content that is of interest or has entertainment value to the Sunday Mag audience. In order to save you time and give your piece the best chance of making it onto SundayMag.tv, we ask that you familiarize yourself with current content on the site, and review the writing guidelines below. We will accept finished articles, but we can’t guarantee we will publish every submission we receive. Sunday Mag looks for articles that are philosophical enough that they can reach a church of any size, but practical enough that the reader can make a conscious change to the way they do ministry after reading. This means we rarely cover specific gear like sound systems or musical instruments. The exception to this would be a new technology, app, or product that would be of interest to the majority of our readers. Clarity and quality of writing. We love reading articles that are fun and filled with stories and examples we can relate to. We want to provide hope and the opportunity for change to our readers. It’s easy to point out problems; we want to point out solutions. Theologically sound, but denominationally neutral. We realize many people believe different things. But if included or referenced in the article, we prefer concepts and doctrines that are broadly accepted. All writers write on a volunteer basis. You may link to relevant sources, products, and other websites but we do not condone spam of any kind. If you have any questions or want to pitch us an idea first, feel free to email us at submissions@sundaymag.tv with a brief summary of what you’d like to write about. Include applicable illustrations or stories so we can get an idea of where you’ll take the article. You can also join our Facebook Group of SundayMag Contributors. Otherwise, feel free to submit your article online. Just click the button below and you’ll be able to upload your article right away. We will review your submission and either schedule it for the site or follow up with you for revisions. Submissions typically make it onto the site within 2 weeks.